You know, it takes a special kind of insane badass to be so maniacal that you literally rule your own small area of the new city prison. Especially when you're the whole reason Arkham Asylum was destroyed in the first place! But after all, when you're an insanely homicidal super-villain with no known name or past, things like that just kind of just seem to fall into place for you. Yet that doesn't mean that you don't take your role as the clown prince of crime seriously...even when you're not feeling so hot and could use a couple of sick days. But evil never rests! Not even when you kinda sorta feel like you might have the flu. You've got traps to set for Batman, more innocent lives to terrorize, and some people to kill...even when you're feeling - and looking - like death yourself (and not in a good way)! 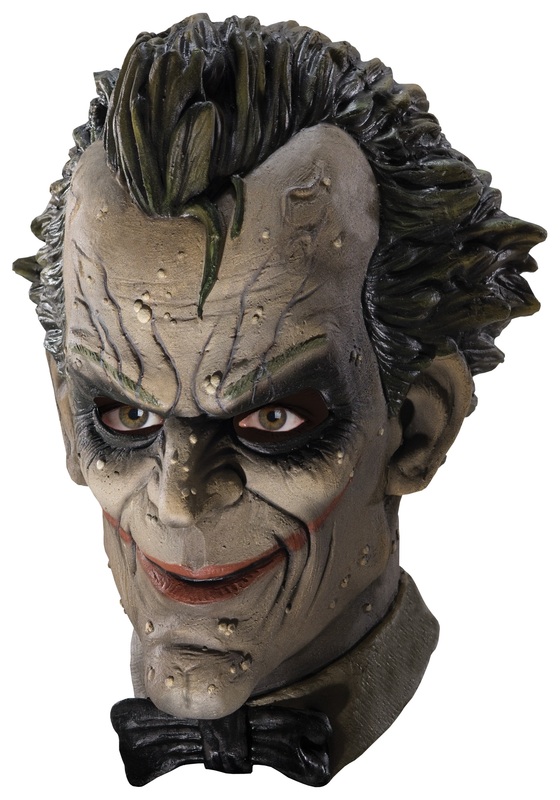 So why don't you slip on this Arkam City Joker Latex Mask and let it do the terrorizing for you? It got your same horrifying face straight out of the video game Arkham City, and it's latex, so it'll stand the test of time while you rule the Gotham City underworld. And try to get some rest, will you? After all, if you can't take care of your own health, how are you supposed to ruin the health and lives of others?